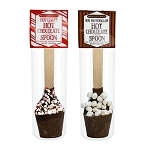 Our Chocolate Dipped Peppermint Lollipop Assortment comes with 24 lollipops on your choice of stick, coated in white chocolate and sprinkled with crushed peppermint candy. 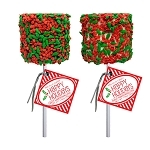 These lollipops are red (peppermint). 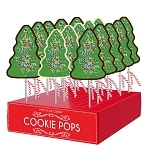 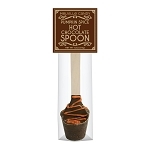 Each lollipop is hand-poured and hand-dipped; slight variations will occur.